CCSO obtains all information, downloadable files and software contained herein from sources believed by CCSO to be accurate and reliable. Because of the possibility of human and mechanical error as well as other factors, CCSO shall not be held responsible for any errors or omissions in the information, and/or downloadable files, and/or software available at the CCSO website. CCSO makes no representations, and expressly disclaims all responsibilities, about the suitability, for any purpose, of the information, downloadable files and/or software that are available to the user at the CCSO website. Information and software may be changed at any time without notice of any kind. The information and software on this site are provided "as is" without expressed or implied warranty of any kind. CCSO disclaims all warranties with regard to the information and/or software, including all implied warranties of merchantability and fitness for a particular purpose. In no event shall CCSO be liable for any special, incidental, indirect or consequential damages or any other damages whatsoever, including without limitation, any loss of use, lost data, or lost profits or opportunity, or punitive damages, whether in an action of contract, negligence or other tort action, arising out of or in connection with the accuracy, use, or performance of the information, and/or downloadable files and/or software on CCSO's website. Some U.S. states and foreign countries provide rights in addition to those above, or do not allow limitation or exclusion of implied warranties, or liability for incidental or consequential damages. Therefore, the above limitations may not apply to you or there may be state provisions that supersede the above. Any clause or any portion of a clause declared invalid shall be deemed severable and shall not affect the validity or enforceability of the remainder of the clause. These terms may only be amended in writing, must be signed by CCSO's authorized representatives, and shall be governed by the laws of the State of Florida. 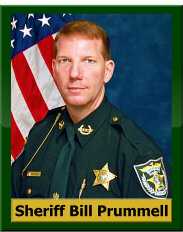 The links to third parties contained within this website will allow you to leave CCSO’s site. The sites that are linked to CCSO’s site are not under the control of CCSO. CCSO is not, and shall not be, held responsible for the contents, in any way or form, of any linked site or of any link contained in a linked site. CCSO provides these links only as a convenience to you, the user of the website; and the inclusion of any link does not imply endorsement by CCSO of the linked site. Any rights not expressly granted by CCSO herein are expressly reserved. Actions that restrict or inhibit anyone - whether a person, entity or otherwise - in his or her use of CCSO’s web services, or that generate excessive network traffic through the use of automated or manual routines that are not related to ordinary personal or business use of the web site. Upon determining such types of conduct by an individual or entity or otherwise, CCSO may take action to prevent current or future disruption/restrictions against such activity. This server and its data, images, etc. are provided for public informational purposes. Data mining / large bulk requests of this site are strictly prohibited. Large data requests from the data that this site provides, can be made through our records department. Please contact us at (941) 575-5251 or records@ccso.org for further information. When you engage in certain activities on this site, such as filling out forms, downloading software, or entering complaints, CCSO may ask you to provide certain information about yourself by filling out and submitting an online form. It is completely optional for you to engage in these activities. If you elect to engage in these activities, however, CCSO may require that you provide certain personal information, such as your name, mailing address, e-mail address, and other personal identifying information. CCSO collects this information in order to record and support your participation in the activities you select. All information collected, regardless of type, will be protected pursuant to the Privacy Act and the Freedom of Information Act. If you would like your name deactivated from CCSO’s lists, or if you would like to unsubscribe from CCSO’s e-mail bulletins, please use the contact information below to request that CCSO deactivate you from its lists. Be sure to include your name, postal address, telephone number, information contained in your CCSO mailer, and/or other necessary information needed for deactivation. CCSO will use reasonable efforts to honor your requests, but we appreciate your patience in allowing us a reasonable amount of time for processing. When you visit www.ccso.org, you can surf the site anonymously and access important information without revealing your identity. In order to analyze and improve our site, we use "cookies" to track your visit. A cookie is small amount of data that is transferred to your browser by a Web server and can only be read by the server that gave it to you. It cannot be executed as code or deliver viruses. Please note that CCSO is not responsible for the content or privacy practices of non-CCSO Web sites to which www.ccso.org may link. Users may send e-mail to us at webmaster@ccso.org with any further questions. CCSO may modify or discontinue CCSO’s site with or without notice to you and without liability to you or to any third party. You agree not to post or use CCSO’s site to distribute or send any illegal material of any kind, including but not limited to, illegal material in the form of text, graphics, video, programs or audio files. Posting content or participating in any form of discussion with the intention to commit any illegal activity is strictly prohibited. 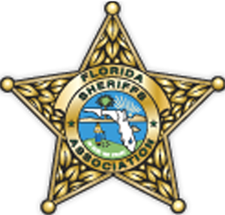 Special routing icons may be included within CCSO’s site, the activation of which will allow you to access and learn more about CCSO and other services provided by CCSO or its affiliates whereby the use of such icons is free of additional charge to you. When you access any of these services, your rights and obligations will be governed by the agreements and policies relating to the use of these services. YOU EXPRESSLY AGREE THAT USE OF CCSO’S SITE IS AT YOUR SOLE RISK. CCSO’S SITE IS PROVIDED ON AN "AS IS" AND "AS AVAILABLE" BASIS. CCSO EXPRESSLY DISCLAIMS ALL WARRANTIES OF ANY KIND, EXPRESS OR IMPLIED, INCLUDING WITHOUT LIMITATION ANY WARRANTY OF MERCHANTABILITY OR FITNESS FOR A PARTICULAR PURPOSE. CCSO MAKES NO WARRANTY THAT CCSO’S SITE WILL MEET YOUR REQUIREMENTS, OR THAT CCSO’S SITE WILL BE UNINTERRUPTED, TIMELY, SECURE, OR ERROR FREE; NOR DOES CCSO MAKE ANY WARRANTY AS TO THE RESULTS THAT MAY BE OBTAINED FROM THE USE OF CCSO’S SITE. CCSO WILL NOT BE LIABLE FOR ANY DIRECT, CONSEQUENTIAL OR INCIDENTAL DAMAGES, WHETHER FORESEEABLE OR NOT, WHICH MAY RESULT FROM THE UNAVAILABILITY OR MALFUNCTION OF CCSO’S SITE. YOU UNDERSTAND AND AGREE THAT ANY MATERIAL AND/OR DATA DOWNLOADED OR OTHERWISE OBTAINED THROUGH THE USE OF CCSO’S SITE IS AT YOUR OWN DISCRETION AND RISK AND THAT YOU WILL BE SOLELY RESPONSIBLE FOR ANY DAMAGE TO YOUR COMPUTER SYSTEM OR LOSS OF DATA THAT RESULTS FROM THE DOWNLOAD OF SUCH MATERIAL AND/OR DATA. YOU UNDERSTAND AND AGREE THAT CCSO DOES NOT GUARANTEE THE ACCURACY OR COMPLETENESS OF ANY INFORMATION IN OR PROVIDED IN CONNECTION WITH CCSO’S SITE. CCSO IS NOT RESPONSIBLE FOR ANY ERRORS OR OMISSIONS OR FOR THE RESULTS OBTAINED FROM THE USE OF SUCH INFORMATION. THE INFORMATION IS PROVIDED WITH THE UNDERSTANDING THAT NEITHER CCSO NOR ITS MEMBERS, WHILE SUCH MEMBERS ARE PARTICIPATING IN CCSO’S SITE, ARE ENGAGED IN RENDERING LEGAL, BUSINESS, INVESTING, COUNSELING OR OTHER ADVISORY SERVICES. CCSO ENCOURAGES YOU TO SEEK APPROPRIATE PROFESSIONAL ADVICE OR CARE FOR ANY SITUATION OR PROBLEM THAT YOU MAY HAVE. CCSO SHALL NOT BE RESPONSIBLE FOR ANY LOSS OR DAMAGE CAUSED, OR ALLEGED TO HAVE BEEN CAUSED, DIRECTLY OR INDIRECTLY, BY THE INFORMATION OR IDEAS CONTAINED, SUGGESTED OR REFERENCED IN THIS SERVICE AREA. YOUR PARTICIPATION IN CCSO’S SITE IS ENTIRELY AT YOUR OWN RISK. NO ADVICE OR INFORMATION, WHETHER ORAL OR WRITTEN, OBTAINED BY YOU FROM CCSO OR THROUGH CCSO’S SITE SHALL CREATE ANY WARRANTY NOT EXPRESSLY MADE HEREIN. CCSO MAKES NO WARRANTY REGARDING ANY GOODS OR SERVICES PURCHASED OR OBTAINED THROUGH CCSO’S SITE OR ANY TRANSACTIONS ENTERED INTO THROUGH CCSO’S SITE. CCSO IS NOT RESPONSIBLE FOR THE CONTENT ON THE INTERNET OR WORLD WIDE WEB PAGES THAT IS CONTAINED OUTSIDE CCSO’S SITE. AS A CONVENIENCE TO CCSO’S USERS, CCSO MAY PROVIDE LINKS TO RESOURCES THAT ARE BEYOND CCSO’S CONTROL. CCSO MAKES NO REPRESENTATIONS AS TO THE QUALITY, SUITABILITY, FUNCTIONALITY OR LEGALITY OF ANY SITES TO WHICH CCSO MAY PROVIDE LINKS, AND YOU HEREBY WAIVE ANY CLAIM YOU MIGHT HAVE AGAINST CCSO WITH RESPECT TO SUCH SITES. CCSO SHALL NOT BE LIABLE FOR ANY DIRECT, INDIRECT, INCIDENTAL, SPECIAL, OR CONSEQUENTIAL DAMAGES, RESULTING FROM THE USE OR THE INABILITY TO USE CCSO’S SITE OR FOR THE COST OF PROCUREMENT OF SUBSTITUTE GOODS AND SERVICES OR RESULTING FROM ANY GOODS OR SERVICES PURCHASED OR OBTAINED OR MESSAGES RECEIVED OR TRANSACTIONS ENTERED INTO THROUGH CCSO’S SITE OR RESULTING FROM UNAUTHORIZED ACCESS TO OR ALTERATION OF YOUR TRANSMISSIONS OR DATA, INCLUDING BUT NOT LIMITED TO, DAMAGES FOR LOSS OF PROFITS, USE, DATA, OR OTHER INTANGIBLES, EVEN IF CCSO HAS BEEN ADVISED OF THE POSSIBILITY OF SUCH DAMAGES. CCSO may, from time to time, send e-mail messages to you containing advertisements, promotions, etc. CCSO makes no representation or warranty with respect to the content of any such e-mail messages or services that may be obtained from CCSO, and you agree that CCSO shall not have any liability with respect thereto. The posting of requests for police assistance, regardless if it is of an emergency or non-emergency nature, is discouraged and will not guarantee a response by the Charlotte County Sheriff’s Office or any emergency service provider. In case of an emergency, or if police assistance is needed, please dial 911. If you wish to report a crime or information relevant to a crime, please call 941-639-0013. You may remain anonymous if you wish. In the event you post information related to a crime, you may be placing yourself in a position of becoming a witness and subject to being subpoenaed into court. “Friending” or “Liking” the Charlotte County Sheriff’s Office, or an officer or employee of the Charlotte County Sheriff’s Office, does not indicate an endorsement of that person’s actions or comments. A comment posted by a member of the public on any Charlotte County Sheriff’s Office social media site is the opinion of the commentator or poster only. Publication of a comment does not imply endorsement of, or agreement by, the Charlotte County Sheriff’s Office, nor do such comments necessarily reflect our opinions or policies. Comments that may reasonably interfere with, inhibit, or compromise law enforcement investigations, police tactics, police responses to incidents and/or the safety of police staff and officers. Posts or comments that contain any external links.